We are now inside the 2 week portal between eclipses, having passed through what’s been a draining and tiring Full Moon Lunar Eclipse over the past 48 hours. Full Moons bring culminations and endings and these familiar yet still uncomfortable feelings of letting go have been intensified by the power of the Aries eclipse. It’s not as if we haven’t been here before, we seem to have been in this relentless cycle of releasing and letting go for months on end, years even, but for those residing in the Blue Mountains and other regions of NSW Australia, the fiery energy of the Lunar Eclipse has created devastating circumstances. It is no one’s wish to experience transformation through such unforgiving events and yet Planet Earth continues on her path despite the affects of the extreme weather patterns we experience on her surface. But as we retreat into our bubble of hope, we can rest with the knowing that we are on the verge of change, something new really is emerging even though it still remains hidden and just out of reach. It is like we are inside a transitional void now, confined to an ever shrinking space where the past no longer exists and the future is not yet ready. It can be difficult energy to navigate, this feeling of everything being temporary like we are lost in no man’s land and don’t have anywhere of our own, along with the frustration of not being able to create anything new. In some ways it is pushing us to live in the moment, encouraging us to trust that the sequence of events now unfolding will open the right door to the right path at just the right time. And that is exactly what the next wave of astrological alignments could deliver. The first week of November brings another round of powerful energies with the Pluto/Uranus Square and the Scorpio New Moon Solar Eclipse. Scorpio energy is transformational in itself but with a New Moon, a Solar Eclipse and Saturn, Mercury and the North Node also in the sign, this combination speaks of deep evolutionary change that could not only open the door of new beginnings but the path to our destiny. This is the energy of the Phoenix rising from the ashes. It can be difficult to see the brightness of the future when we when are losing everything around us, feeling paralysed and unable to move and yet it is there, twinkling in the not-so-distant outer reaches of our world. We’ve already been given glimpses of it, some of us have already experienced it and yet with this ever so slow, inch by inch forward movement, it can be missed or forgotten. We may have no idea how or when we get to stay in this Light of the new but we can retain our sense of personal power by surrendering to the process rather than resisting it, by slowing down our desires rather than wanting to jump ahead and by acknowledging the feelings that arise each day rather than suppressing them. By changing our perspective of the void, we can see it as a place of refuge rather than restriction. 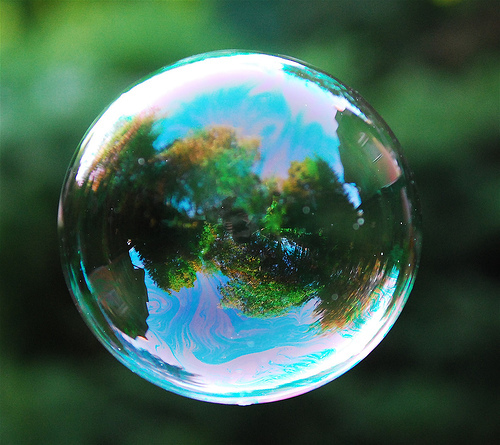 We are in essence being held in a bubble of protection until the ground of the new world is safe enough to support us.